RUSSIA. Moscow. May 9, 2015. 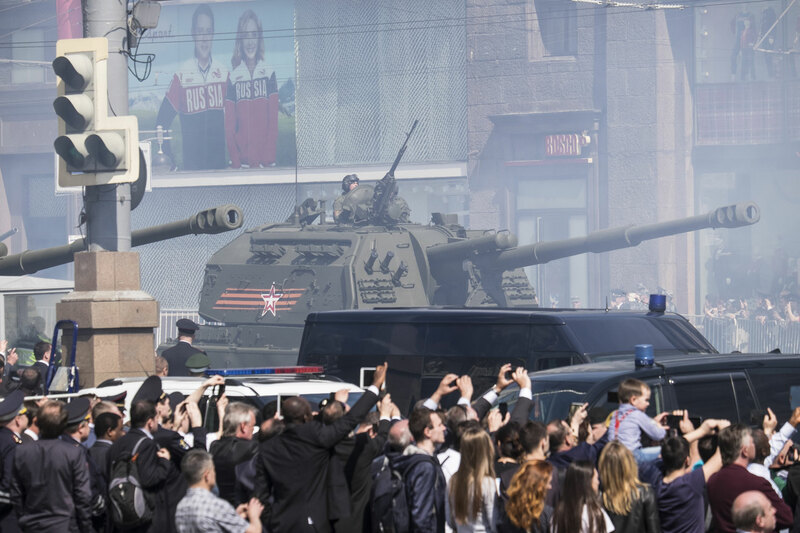 A Koalitsiya-SV self-propelled tracked howitzer rolls down Tverskaya Street during the military parade.